Hosts Scotland kept their challenge alive in the World Wheelchair Curling Championships in Stirling as they beat Canada 5-3 today in the final round robin matches to secure a play-off for a place in the semi-finals. 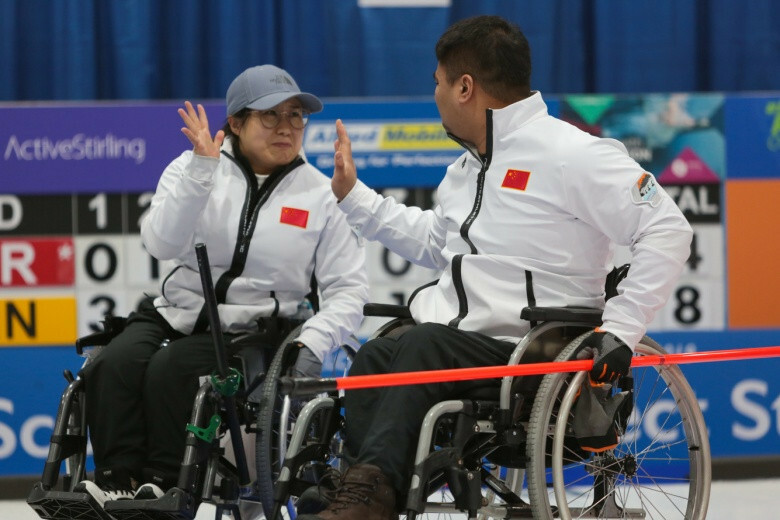 Paralympic champions China and defending champions Norway earned automatic places for one semi-final in finishing respectively first and second in the round robin matches at The Peak venue. Scotland, who finished third with seven wins and four losses, will play sixth-placed Slovakia for a place in the last four, while the other morning play-off match will involve the fourth and fifth place finishers in qualifying, Switzerland and South Korea. Slovakia, Switzerland and South Korea all finished with a 6-5 record. The latter team had already qualified before the final round of matches, but the Swiss assured themselves of progression by beating the Koreans 5-4 tonight. Earlier in the day China had earned bragging rights with a 4-2 win over Norway, although the latter won their final match, 7-4 over Germany, to finish with the same record as China – won eight, lost three. 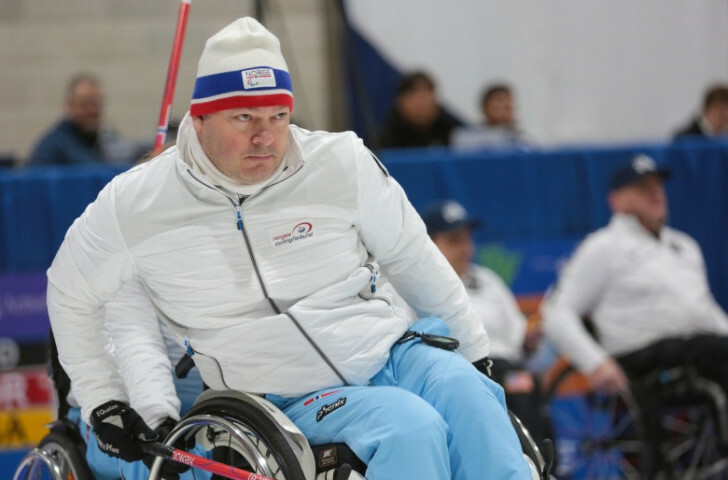 Slovakia’s progress came at a heavy cost to the team they beat 8-7 – the United States now join Canada and Germany in being relegated to the World Wheelchair-B Curling Championship next season.